Hey! A book I have actually read! I have the 1974 edition– sort of a chipped ice cube head with a twinkle in its eye. I’m talking about the Simak book, btw. Haha. I remember you review — you thought it was rather silly but nice to read, right? Not silly, just a little heavy-handed with the Civil Rights allegory. Other than that, an enjoyable read. It was the early 60s…. Sounds rather admirable for SF at that time. I mean, young kids needed to “get” the point. But yes, I can imagine it might be somewhat annoying after a bit. I haven’t heard of The Rose before, but the era of its writing and its “ultimate confrontation between science and art” make it sound like the sort of thing I’d love to read, even if I wouldn’t actually remember reading it two months on. It’s a very famous 50s short story. I dunno whether the praise is justified or not though. My edition, the one shown, has an incredibly laudatory intro by Michael Moorcock praising its virtues. I have to agree; I’m intrigued by the The Rose as well. But then again, I’m a sucker for stories exploring the intersection of art and science. It at least has a chance to be something thought-provoking. It’s a really brief collection so I’ll give it a shot soon! The Rose is a brilliant, beautiful story! All of the stories in that collection are wonderful – Harness is a unique writer and deserves to be much more well known, on the basis of The Rose, alone. I read it when I was around 18, around 30 years ago and it has stayed with me ever since – you are in for a real treat, Joachim! I am sure you will love his intelligent, lyrical, metaphysical stories. I have a copy of The Rings of Ritornel as well but haven’t read it yet. I have found a lot of reviews that praise his ideas by critique how his over exuberance gets in the way of solid prose/characters. But yes, very interested in reading it! 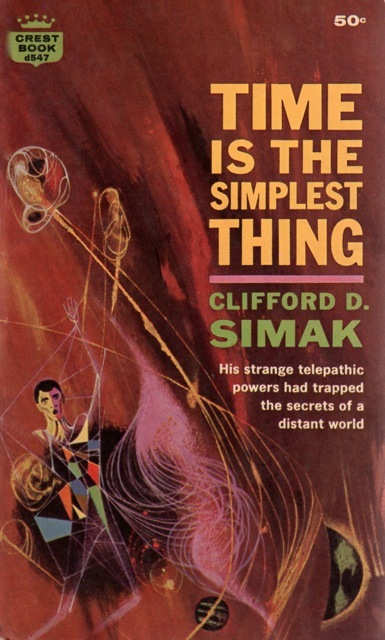 I just bought that Simak for its Powers cover, and because I’ve heard good things about that one. Plus it’s a Simak, at his worst he’s still very readable. 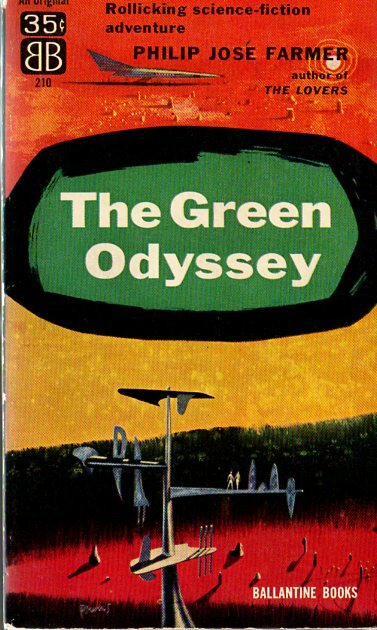 The Green Odyssey has been recommended to me several times as a Burroughs-influenced pulp pastiche, but since it’s Farmer I keep putting off purchasing it. Who knows, maybe it’ll cause me to re-evaluate Farmer like Strange Relations did for you. I have a few Harness novels on my TBR shelf (The Paradox Men is the only title I can see), but I have not heard of The Rose before. Really interested in how its “confrontation of science against art” plays out. It’s supposed to be a straight-forward adventure tale. People were rather shocked that The Green Odyssey was written by the same person who wrote The Lovers! And, there’s a land boat that sails across fields… i.e. perhaps Dan Simmons was inspired by Farmer for Hyperion. 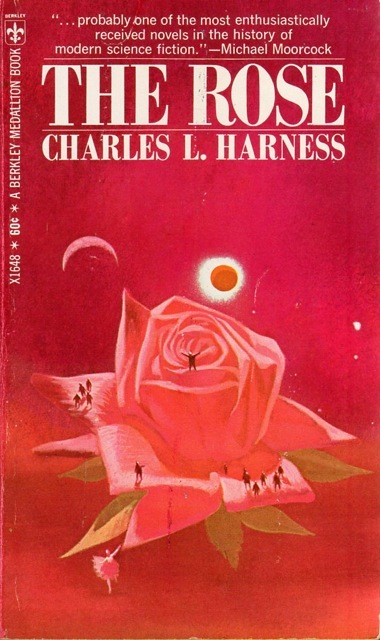 The people and planets on that The Rose cover look very Lehr-esque to me. That was my first impression as well. But, didn’t know that Lehr painted large roses…. He may not have had much choice. The title doesn’t leave much room for interesting interpretations and he may have been laboring under a very literal minded editor. Hmm, Lehr usually seems to go his own way though. But you’re probably right. Tacoma? The aliens go to Tacoma? I just…I don’t know what to say about that. I mean, Tacoma! Seattle’s just up the Sound. I’ll definitely have to find this one as I’m always curious about Seattle-area SF. 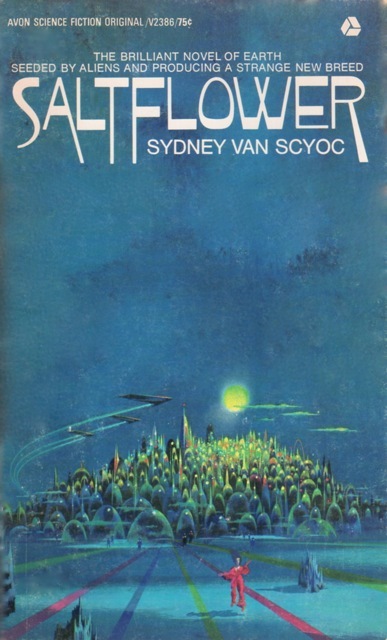 I read Scyoc’s Assignment Nor’ Dyren (1973) a while back… It was fine and probably worth the read although there are some frustrating stylistic issues. I don’t have high hopes though. Sounds a little silly. Judging by the way the planets are rendered, and the monochromatic color scheme, the cover for The Rose is by Di Fate. Very, very similar in style to Di Fate’s other covers for Berkley around that time.